Anxiety, depression and other mental health concerns are experienced by many at the beginning of the year. Post-holiday blues, money worries and cold weather in January are often portrayed as the reasons behind the anxiety, depression and other mental health concerns that are experienced by many at the beginning of the year. While thousands of people seek support for their mental health in January, these feelings of stress, anxiety and low mood are not tied to one month, but can happen at any point. Rachel Balster, a psychological wellbeing practitioner lead at Healthy Minds in Buckinghamshire, said: “We can all experience low mood and high levels of anxiety, but the good news is we do have the choice about what we do to change this. Sometimes it is the smallest things we do that make the biggest difference. If you are feeling anxious, depressed or stressed, Healthy Minds offers free talking therapies to help. Healthy Minds, run by Oxford Health NHS Foundation Trust, works with people in Buckinghamshire to ensure they get the help they need, basing treatments on the needs of the individual to support them in overcoming any difficulties with their mental health. We can either work with individuals on the telephone or meet them at various community locations and GP practices around Buckinghamshire, and we keep in regular contact with our clients to help them on the road to recovery. If you are struggling with issues such as these, Healthy Minds can help now or at any time of the year. 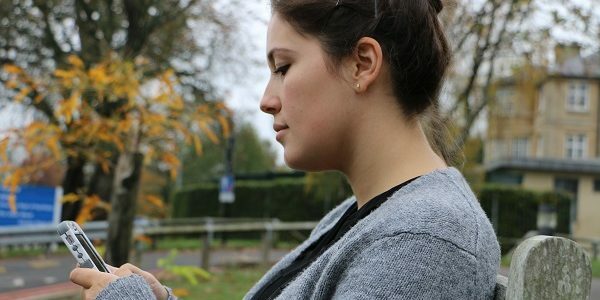 You can self-refer via telephone (01865 901600), online (https://www.oxfordhealth.nhs.uk/healthyminds), text message (text “Talk” and your name to 07798 667169) or via a GP referral.